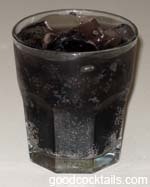 Pour the vodka or rum in a glass with ice. Fill it with grape soda. Stir and enjoy.